Remco van de Pas is a Research Fellow Global Health Policy, ITM Antwerp & Academic Coordinator, Maastricht Centre for Global Health, Maastricht University. He is a board member of the Medicus Mundi International Network and a member of the G2H2 working group on WHO and global health governance and financing. Thanks to the working group members who kindly provided feedback on an earlier draft. Contact: rvandepas@itg.be. WHO governance and financing were also discussed at the civil society meeting ahead of WHO EB 144, on 23 January 2019. Just read the following: Our investment case provides the arguments for a stronger, more efficient and results-oriented organization and …highlights new mechanisms to measure success, ensuring a strict model of accountability, and sets ambitious targets for savings and efficiencies. The initial investment of US$ 14.1 billion for the period of 2019-2023 is excellent value for money and will lead to a return on investment by generating 2-4 % economic growth. Moreover, no commodity in the world is more precious! One wonders, would this be an overambitious Transnational Cooperation? Would it be a CEO trying to raise the value of his/her company on the stock markets? Well, you would be wrong. The Organization mentioned here is the WHO, the CEO is its Director General Dr. Tedros and the “commodity” is health. This investment case, the first one ever launched by WHO, should encourage “governments and partners” to finance the WHO’s 13th General Programme of Work (2019-2023) and will be discussed at the 144th session of the WHO Executive Board, together with the proposed WHO programme budget 2020–2021. 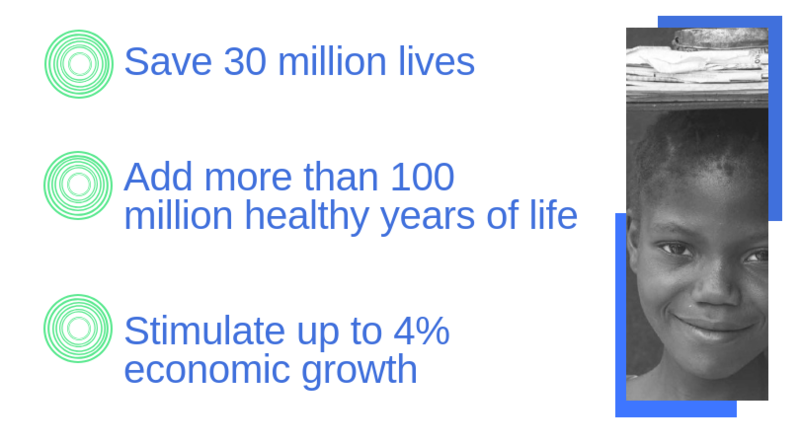 This GPW 13 has three strategic priorities with results-oriented “triple billion” targets: 1 billion more people benefiting from universal health coverage; 1 billion more people better protected from health emergencies; 1 billion more people enjoying better health and well –being. The GPW13 should accelerate progress towards the health-related Sustainable Development Goals (SDGs). WHO will do so in close cooperation with other multilateral “partners” working on global health. This was presented in a Global Action Plan during the last World Health Summit in Berlin. In contrary, the “stakeholderisation” apparent in both GPW 13 and SDG 17 are considered by Richter and others to distract from WHO’s constitutional mandate (“The Peoples”) and to mask intrinsic Conflicts of Interests. The main question is: who will pay for the bill? The base component of WHO’s budget is proposed to increase by 13% for the coming two years. However, WHO is financially already in a precarious state for a decade and gridlocked when it comes to financial reforms. The “investment case” is the latest of many attempts to raise more flexible funding for WHO’s programs. Reddy and colleagues analyzed in a recent study WHO’s financial sustainability and the funding proposals that have been proposed over the years. A thematic overview of all funding proposals and reforms is presented in table 1 of their article. The study indicates that there has been some progress in the financial reform, mainly through the introduction of a financing dialogue between the organization and its donors. Predictability, transparency and accountability of the WHO’s funding has improved. Nevertheless, the continuing zero-nominal growth policy (of Assessed Contributions) remains a critical barrier to enhanced institutional finances. Reddy argues that ”the reason why states are reticent to invest in the core budget of the WHO, is that by doing so they are partly relinquishing their state sovereignty”. Over the years, there has been a politics of withdrawal from international cooperation prompted by escalating geopolitical tensions. This is not only true for the WHO, but for the UN and multilateralism in general. Given this funding gap, WHO is hence not only appealing to governments to fund the GPW13, it actually also wants to diversify its donor base and reach out to private actors such as philanthropic foundations and corporate actors (which might explain some of the ‘investment case’ jargon used). Against this backdrop, a “Partner’s forum” is suggested, intended as the successor of the Financing Dialogue. WHO’s investment thinking and value for money approach is part of a larger trend whereby the entire SDG agenda, blended financing and partnership approach is considered a New Deal for sustainable, inclusive green growth, including all the lip-service paid to human rights, social justice and ecological concerns. Everything is acceptable, as long as the “growth religion” remains at the core. With global health care spending to increase dramatically the coming years, over 5% annually according to estimates from the Deloitte consultancy group, there is much interest from corporate players, insurance companies and financial investors in this booming services sector. In this era of “late capitalism” it might be one of the few sectors that still remain profitable. As Nation States’ governments are more and more under perceived, fiscal pressure, trying to satisfy the dictates of global financial capital interests, they embrace the “partnership” solution when it comes to financing global health institutions. Global public funding ensures a minimal basis like infrastructure and knowledge generation such as the provision of guidelines. This basis of public funding is expected to mitigate risks, e.g. when there is a health emergency such as currently the Ebola outbreak in the DRC, or in the case of a humanitarian crisis as in Yemen when it needs to supply nutritional support for a population struck by famine. At the same time the corporate “partners” and “financial investors” benefit from the return on investment and siphon off profits made directly or indirectly in health programs. There is indeed considerable “growth” to be found in the health sector but fair redistribution of these resources, and ensuring the policy space to pursue such a fair distribution by governments and international institutions like the WHO, is another issue. Oxfam’s latest briefing paper Public Good or Private Wealth, traditionally published ahead of the annual Davos clique gathering, is illuminating in this respect. There is an increased concentration of wealth. 26 people own the same as the 3.8 billion people who make up the poorest half of humanity. Moreover, all this wealth is particularly undertaxed. Oxfam proposes to have the richest pay just 0.5% extra tax of their wealth – this could provide the healthcare that would save the lives of 3.3 million people. Well, that would be a results oriented approach and public return on investment! But let’s return to WHO’s investment case and proposed budget for 2020-2021. Rather than tinkering on the details and flaws of these financial proposals I reckon it would be better if progressive global health actors such as Oxfam and ourselves seek cooperation and action on crucial issues of wealth distribution, tax justice, global public goods and debunk the myth of endless economic growth. It is time to recapture the narrative, including on WHO’s “economic case” for health, and be part of a counter-hegemonic force that changes the paradigm of how public goods like health services and healthy environments are to be financed in times of severe ecological degradation. Let’s aim to build such a progressive alliance between environmental and social actors, within and beyond the health sector, within and beyond WHO. Let’s confront the wealthy and powerful and have them pay their fair share. Blog posted on 23 January 2019. Comments are welcome. Great analysis on commercial business thinking seeping into the who. Think this is worrying as well. Only thing I am wondering is how else can an underfunded WHO make sure that there are enough funds available to continue their good work.